The power and prowess of ninja never seem to lose their appeal to young readers, especially boys. 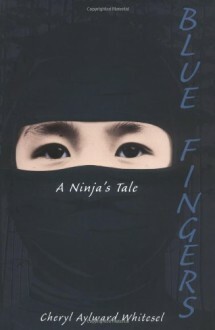 Blue Fingers, a suspenseful, action-packed coming-of-age story set in feudal Japan, offers an up-close look at this noble, fierce way of life.Through an odd twist of fate, a stubborn twelve-year-old boy named Koji is kidnapped by a secret ninja clan and taken to its hidden camp high in the mountains. He wants desperately to return home, but that is forbidden. He must forget his old life and become a ninja-or die. In this carefully researched and well-crafted novel, Koji must learn to survive in the mysterious and dangerous world of the ninja and fulfill a destiny far different from any he could have imagined. Afterword.